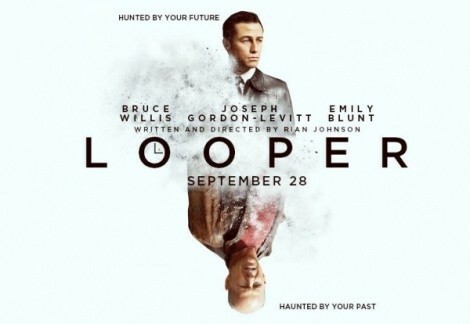 Looper, from writer/director Rian Johnson, follows a time-traveling assassin (Joseph Gordon-Levitt) as an encounter with his future self (Bruce Willis) sets him on a new path. With sly intelligence that doesn't skimp on the terrific action sequences, Johnson makes sure the audience understands that the "logic" of time travel isn't the point here. Instead, it's a fascinating, thrilling morality play about when and if we ever decide to shift our focus away from ourselves, and toward something we're willing to make sacrifices for. Two 3-D releases also make their bargain-theater debuts: something old, and something new-ish. Disney/Pixar's Finding Nemo brings its 3-D re-release to the big screen with gorgeous textures, while Silent Hill: Revelation trots out another video-game-based thriller. All are better options than the noxious Fun Size, an out-all-night comedy aimed at tweens but full of repugnant characters and thoroughly inappropriate behavior. Avoid it, so you don't wind up wishing you could go back in time and un-see it.